Sample applications to see how to accomplish tasks that are close to impossible with other web development systems. All the themes featured below are on GitHub. Use the watch and fork features to receive automatic notifications and contribute your changes. Example application to demonstrate some of the features available to the RibbonBar extension. 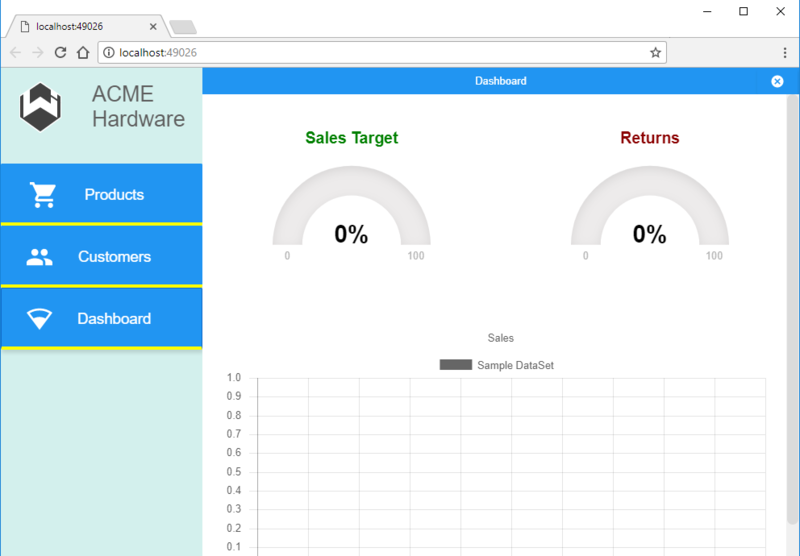 Sample application used for the CodeProject product review. Shows some of the many cool Wisej features. 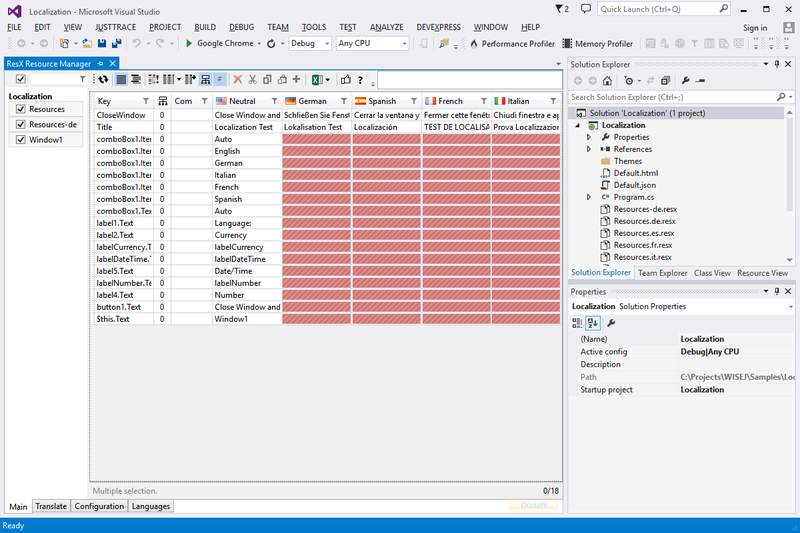 The sample uses SQLite x64, read the included Readme.txt to enable IIS Express x64 in Visual Studio. 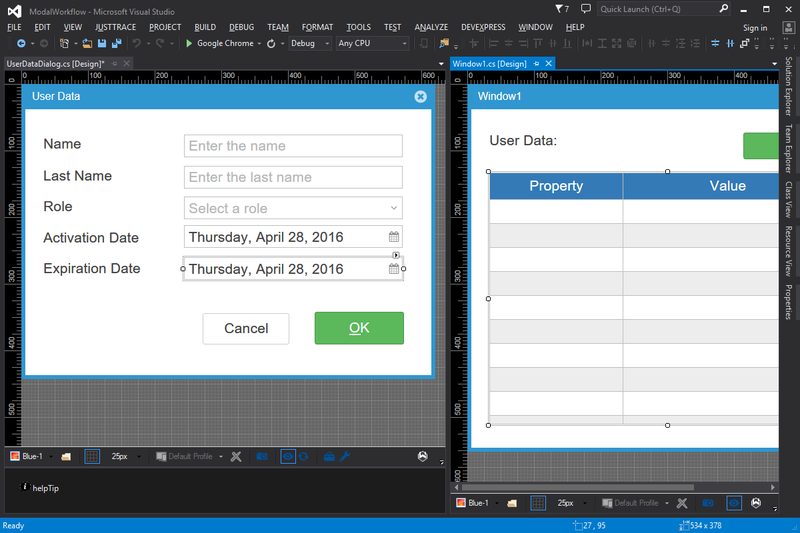 This sample explores 3 kinds of Wisej applications: Desktop, Page and Forms. 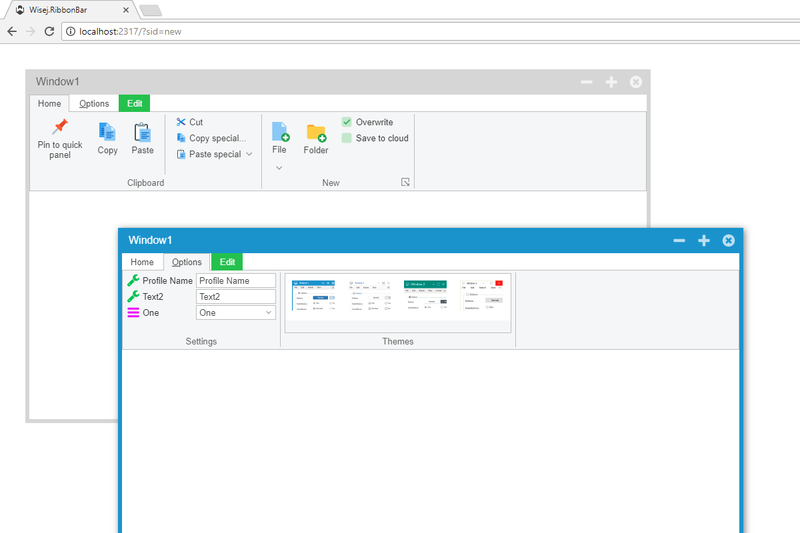 It shows the relation between the containers and how to switch the active Desktop or the active Page while there are visible forms. Basic skeleton for a fully responsive app developed with Wisej. Take a close look at the ResponsiveProfileChanged event implemented for the login form and the OptionsPanel. Make sure to activate the developer tools in your browser and emulate different device profiles. Shows how to use the Polymer extension to create specialized Wisej WebComponent classes and to import non-visual Polymer libraries. Wisej WebComponent objects can receive events from the client and update most aspects of the Polymer Widgets. 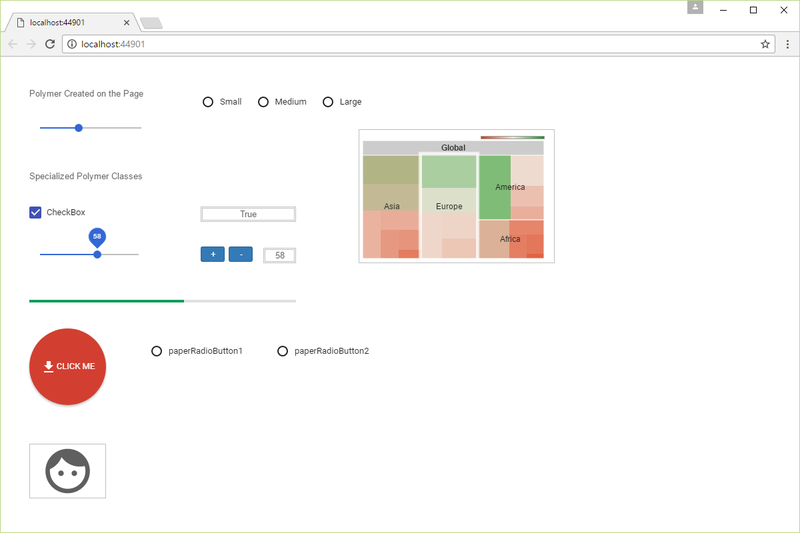 Shows how to use the excellent ChartJS extension component in a Wisej application. 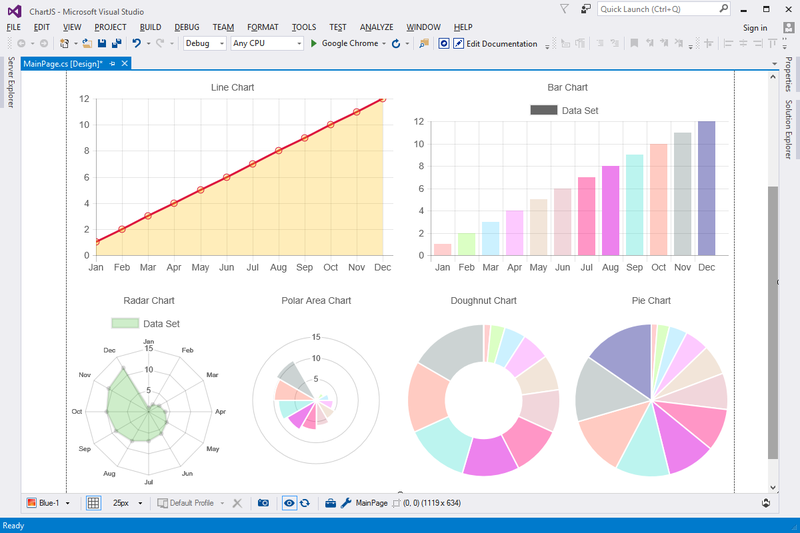 This sample application uses multiple charts, real time updates of the data sets, and the responsive FillWeight property managed by the FlowLayoutPanel. 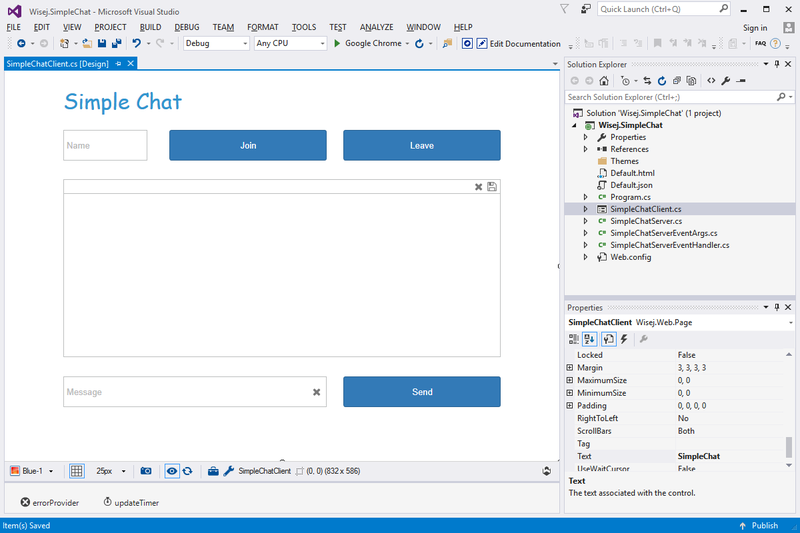 Very simple chat server and client. Demonstrates how to fire and handle shared events and update multiple clients at once. Can be used as a base for broadcast notifications or a simple chat feature to add to any application. 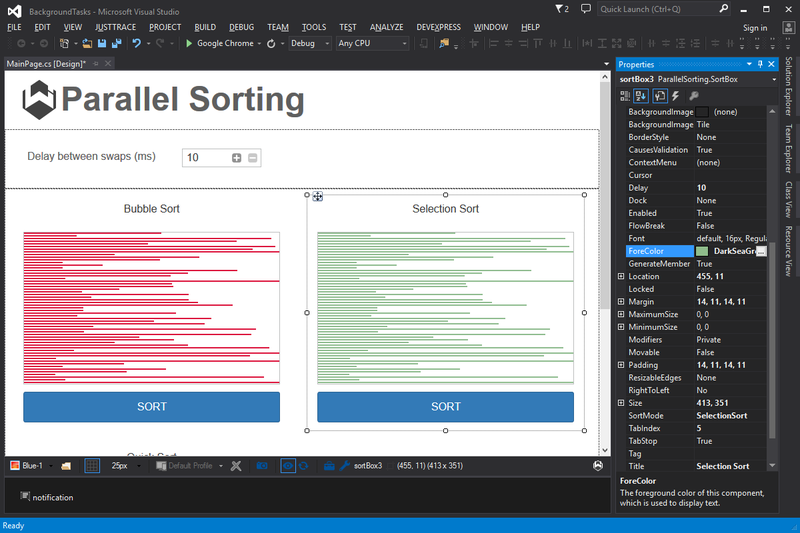 Shows the UserPaint feature supported by all DataGridView columns and cells. 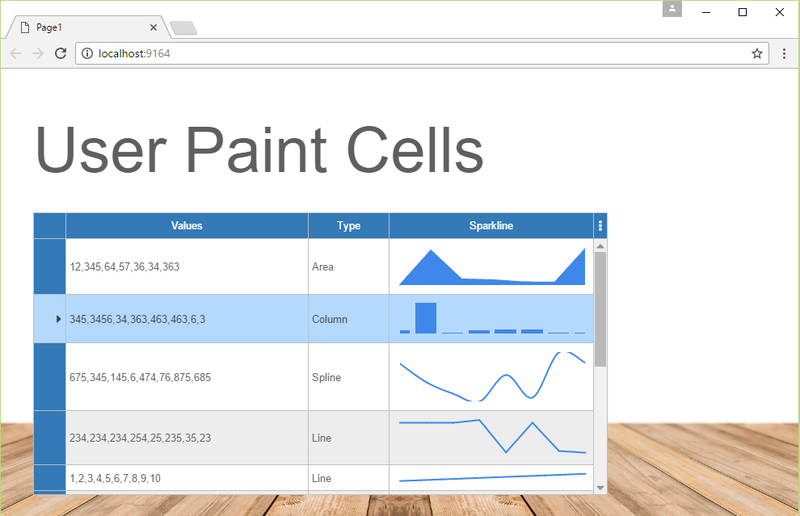 Additionally, this example demonstrates how to use the System.Web Chart control to draw sparkline-type charts inside cells. 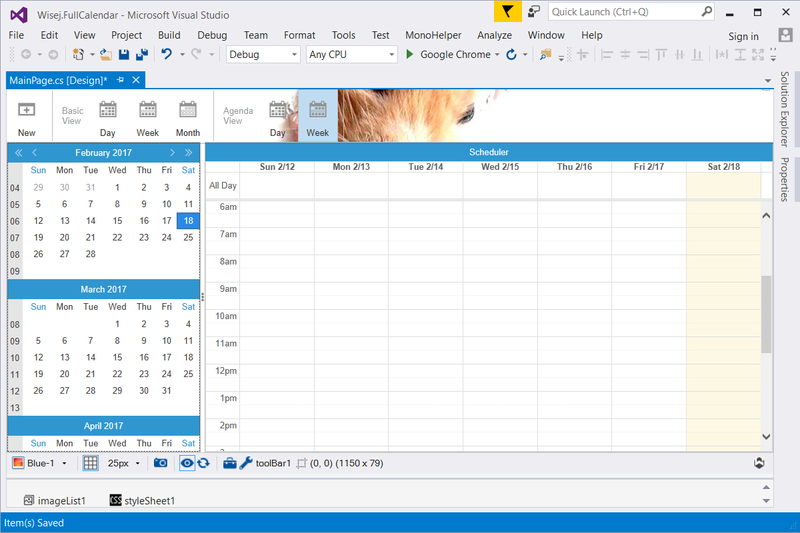 This example shows how to use the FullCalendar extension, and the StyleSheet extender together with the MonthCalendar control and a ComboBox with HTML items. This example shows how to use the GoogleMaps extension, set the options, add markers, receive map events on the server, use coordinates and addresses for geocoding, and more. A common issue for all Single Page Application (SPA) frameworks is the lack of URLs that can define a specific state: i.e. http://localhost/myapp?customer_id=34. Wisej includes full support for deep linking using the hash value in the URL, both on the client and the server side (i.e. http://localhost#id=34). This example shows how to use the several image properties with the Wisej.Web.Button control. The same concepts work with all controls with the same image properties. This example shows how easy it is with Wisej to upload a single or multiple files to the server. You can use a fully themeable upload widget or drag and drop the files from the desktop to any Wisej control. Wisej can also receive pre notifications from the client and inspect the names of the files being dropped. Modal workflow is impossible with any other web development framework on the market. It’s usually emulated using a combination of client side callbacks and ajax requests. Wisej supports full modal workflow and nested modal at any (configurable) level. The resulting code is much simpler, consistent and manageable. 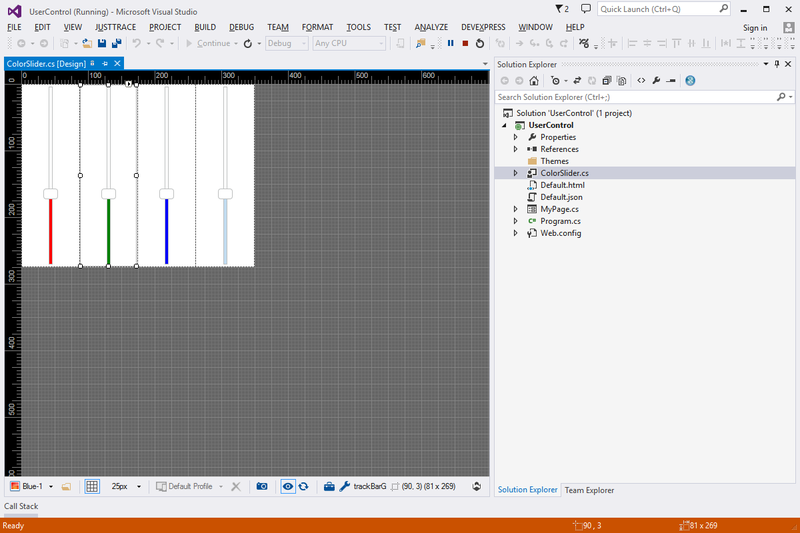 This very ambitious example uses background tasks, canvas drawing, flow layout, and the desktop notification extension to show off multiple tasks running in the background and all updating the client at the same time. 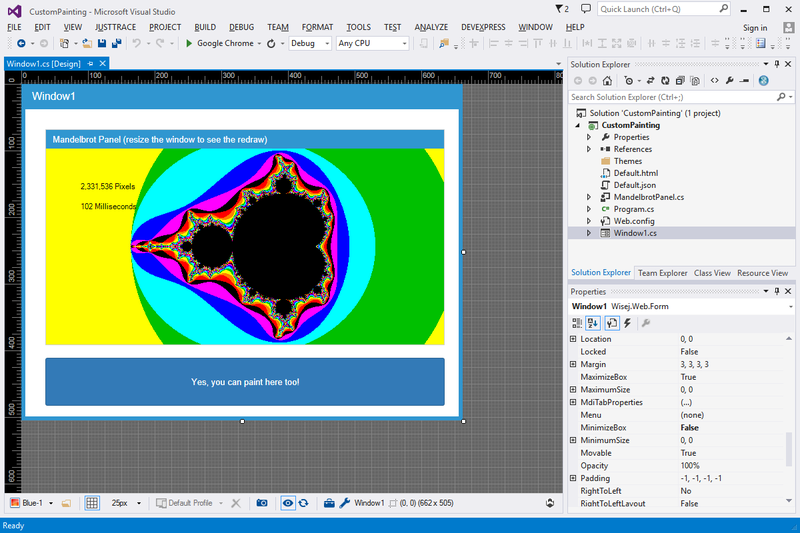 Shows one of the many unique features of Wisej: Custom Painting. 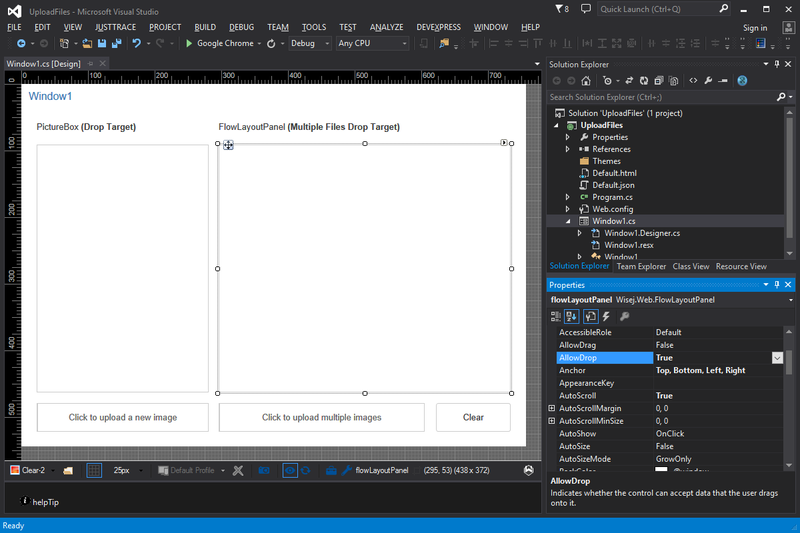 You can draw using basic GDI on the surface of any widget. 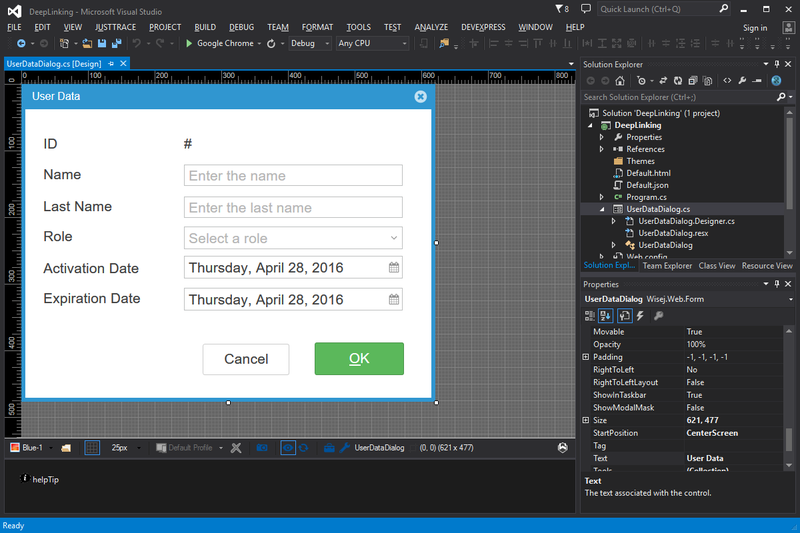 This is one of the most powerful functionality in Wisej, along with Custom Drawing, Real Time Updates, and Background Tasks. 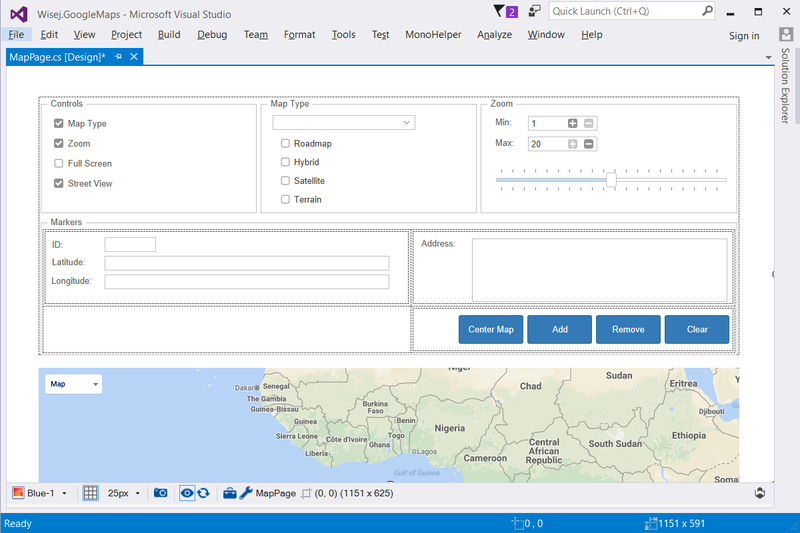 The Localization example shows how to take advantage of Visual Studio’s localization capabilities in a Wisej application. You can localize directly in the designer and/or use localized resources in the code. 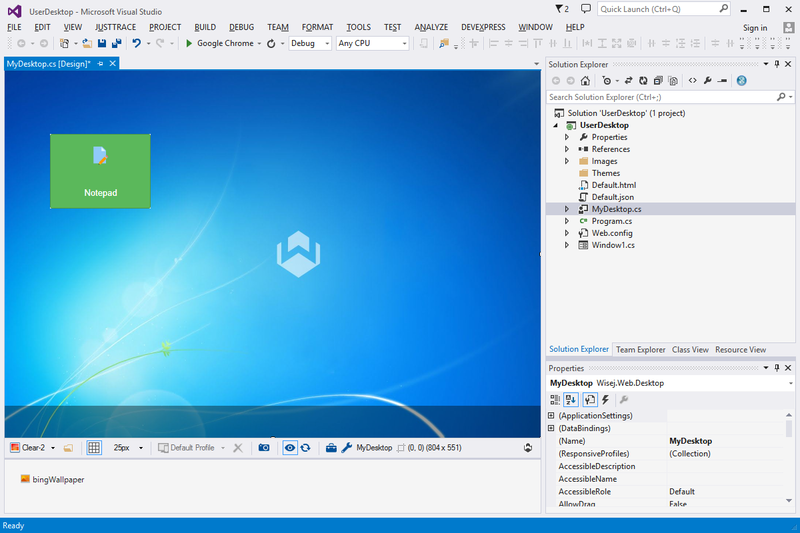 This example shows how to use the Wisej.Web.Desktop component to create a custom desktop. It has been extended with the BingWallpaper extension to show some very nice backgrounds. 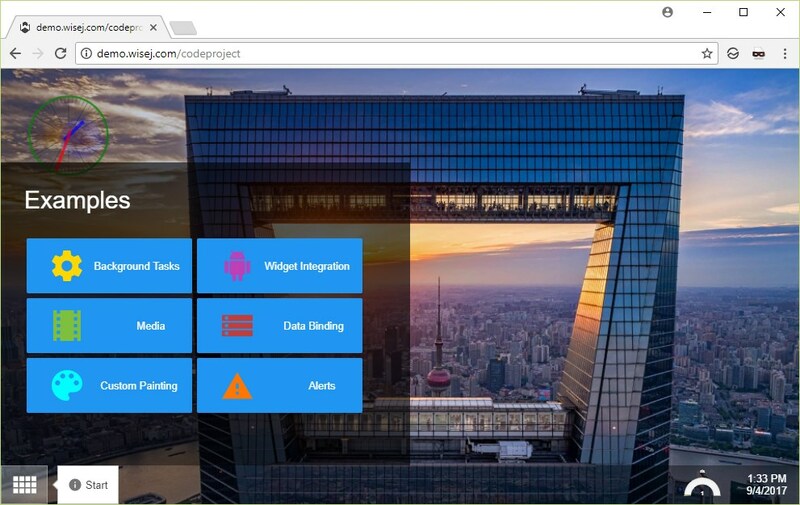 The User Control example shows how to create a server side widget component that can be reused in the application. A user control is a container based on Wisej.Web.UserControl that can expose methods, properties and events, and it’s integrated with the Wisej Designer.